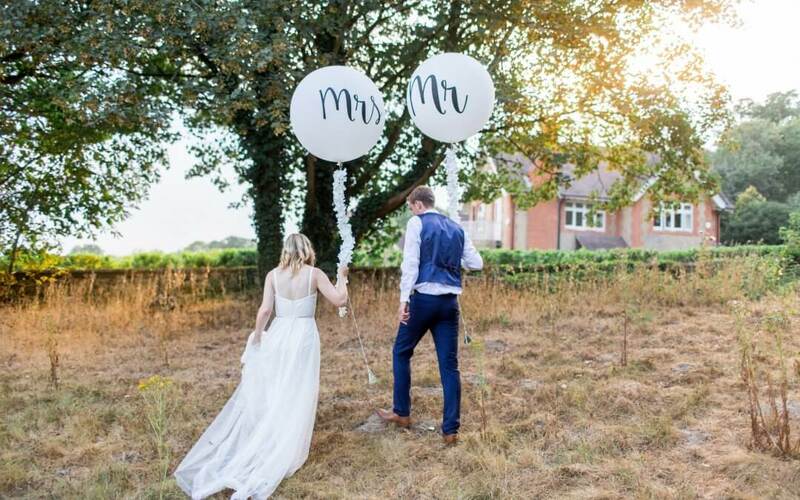 Jo & Sam tied the knot at Millbridge Court, Surrey, in a gorgeous outdoor summer ceremony. It may have been a good 33 degrees but guests spent a lot of time outside enjoying the weather, playing croquet, french boules and even venturing off into the nearby fields to dip their toes in the river! The ‘fan station’ was definitely a great wedding day addition in the heat, as well as the truly personal childrens’ choir to entertain guests during the drinks reception. All the children were from Jo’s school here she is a teacher. Jo wore a stunning beaded dress by Heidi Hudson with her girls in blue beaded Monsoon dresses. Sam and his guys looked dashing in three piece suits from John Goodridge. “Let’s make a toast on the hottest day of the year, to the hottest couple” Great words from yesterday’s best man Grant… and indeed they were true! A magical and happy day for such a beautiful couple. Thank you for letting me be a part of it.